DHAKA, Dec 20 2016 (IPS) - Though highly hopeful about achieving the U.N.’s Sustainable Development Goals (SDGs) well ahead of the 2030 deadline, Bangladesh is upset over the procedures to access the Green Climate Fund, calling them ‘ridiculously complex’ and warning that they may slow down its drive to achieve the SDGs. The Green Climate Fund was announced at the UN Climate Change Conference in Mexico in 2010. Developed nations pledged 100 billion dollars a year to assist developing countries in adaptation and mitigation to cope with the adverse impacts of climate change. 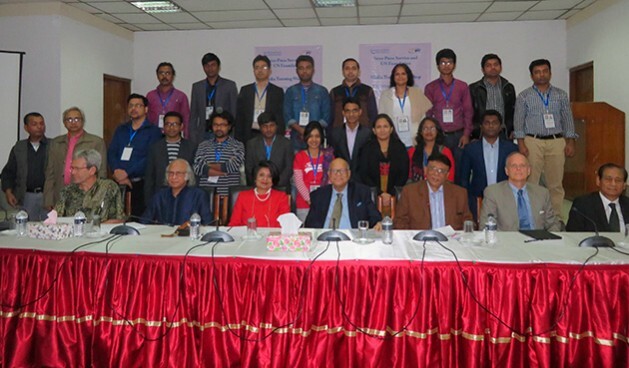 Referring to the growing adverse impacts of climate change on Bangladesh, a worried Muhith said many poor people in rural Bangladesh have lost everything due to riverbank erosion across the country. “We’re spending our own money to tackle climate change’s negative impacts, but we don’t get the support we should get as one of the worst sufferers of climate change,” he said. 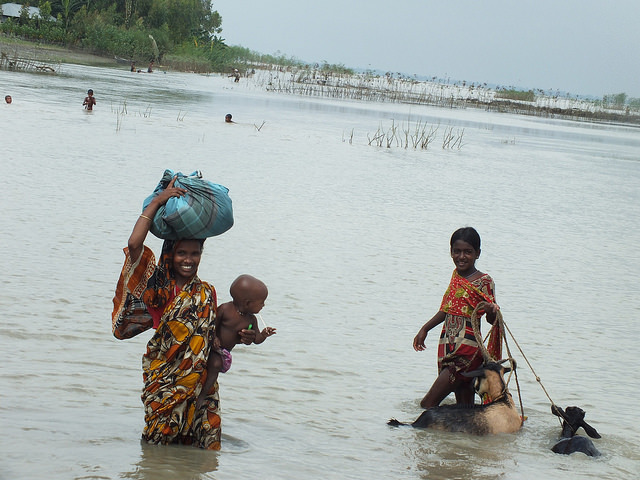 Despite these obstacles, Muhith remains upbeat about Bangladesh’s march forward from the MDGs. He said Bangladesh will be able to achieve the SDGs well before the stipulated time of 2030. “I personally think Bangladesh will certainly reach the targets well before 2030, although the procedure to initiate the development takes time,” he said. Bangladesh’s initiatives to eradicate poverty aim to leave no one behind, said the country’s Finance Minister, adding that it would be quite possible for some other countries to reach the targets ahead of 2030 as well. Bangladesh received a U.N. award for its remarkable achievements in attaining the Millennium Development Goals (MDGs), particularly in reducing the child mortality rate in 2010. It also received an FAO Achievement Award in 2015 for its success in fighting hunger, and a Women in Parliaments Global Forum Award, known as the WIP Award, in 2015 for its outstanding success in closing the gender gap in the political sphere. Bangladesh’s Prime Minister Sheikh Hasina also received the UN’s highest environmental accolade – Champions of the Earth in 2015 – in recognition of Bangladesh’s far-reaching initiatives to address climate change. The adoption of the SDGs on Sep. 25, 2015 by the United Nations was a ‘unique show of global unity’ as it holds the promise to build a better world with the first-ever common development agenda. The 17 SDGs envisage a sustainable future for all by engaging the entire world in collective efforts to end poverty, fight inequality, establish peace and tackle climate change. “Bangladesh has become a role model in South Asia and in the world in achieving the MDGs, the predecessor of SDGs. We believe Bangladesh will again lead the way in achieving the SDGs,” Nagesh Kumar, head of UN-ESCAP South and South-West Asia Office, told a seminar at the Prime Minister’s Office in Dhaka on Aug. 17.